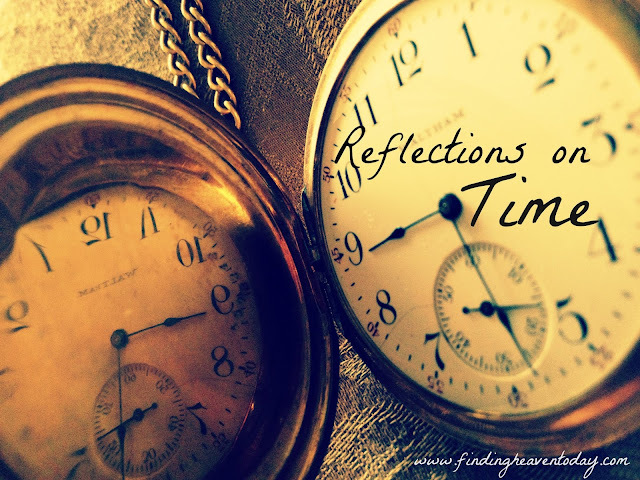 Welcome to our new guest post series about "time." How do we use it? Misuse it? Many of us spend so much time complaining we don't have enough of it, but how often are we grateful for what we actually have? It is a gift we receive every day...a fresh allotment. But how will we spend it? And what values shape how we use it? As we reflect, may there be space to consider how and where we spend our precious seconds of this gift. That was the advice given to me when my daughter was an infant. It made sense, and I could do that at night time. But during naps? I didn’t do so well with the advice then. I looked forward to nap time, but then I was antsy. I thought she would wake up any minute, so I couldn’t relax. And, I felt like I should spend the time doing something, like laundry or cleaning, or something of that nature. So, I went from thing to thing, without accomplishing much of anything. And when nap time was over, my daughter was well rested…and I was tired. I didn’t think of resting as doing something, and I wasted the precious quiet time I was given. I’ve been thinking about this again because I wonder if I’ve changed much. There are times in life when I feel antsy, like I don’t know what I should be doing. I don’t mean because my “to do” list is so long I don’t know where to start. I mean when it feels like nothing is going on. When schedules slow down and there is time before a new routine gets underway. When it feels like God is asking me to lay down my dream, and now I don’t know what I’m working toward. When I know God has a plan for me, but I have no idea what it is. And God seems silent in giving me a clue. I feel unsettled and unfocused, and I don’t know what to do with this quiet downtime. As a society, we’re used to always being busy. Downtime feels uncomfortable, and worse, it’s sometimes viewed as being lazy. But I remember how I wasted the quiet nap time I had, and I’m starting to see these periods of downtime differently. This time of waiting for the next thing is not a time of doing nothing. It’s a time to focus on what God says is important, instead of what the world says. It’s time to spend with God…growing closer to Him and learning the sound of His voice. It’s a time for rest, and a time to unwind and recharge. So then, when the quiet period is over, I’m ready for what comes next. I’ll know the sound of God’s voice better and how to listen for it. And because I’ve had time to rest with Him, I’m ready to face the next thing that comes my way, not in my own strength, but in His. Rest when God gives you the time and opportunity to rest. All too soon, life will get busy again. And this time, I don’t want to waste the precious gift of quiet time He gives me. 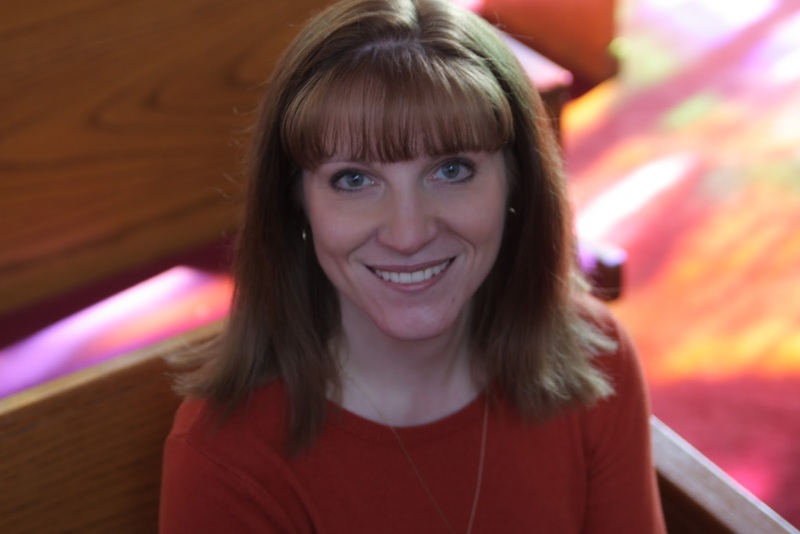 Laura Rath is a follower of Jesus Christ, a wife, mother, writer, blogger, and works in church ministry. She continues to grow daily in her relationship with Christ and loves the faith journey she’s on. Laura is a monthly contributor for 5 Minutes for Faith, and can be found at Laura Rath ~ Journey in Faith, where she shares from her heart and encourages others in their walk with the Lord. Linking with Emily, Michele and Jenifer today. Laura, I never slept when the baby slept. And I paid for it in unnecessary fatigue. And even though I don't have babies, I'm still having to learn to rest when He gives me the opportunity. Thank for you this amazing reminder. Thank you for the opportunity to join you here Jen! Me too, Linda, me too! Blessings to you! Stopping in from Word Filled Wednesday. This sounds like sound advice. We need to rest so we can be ready for the missions the Lord calls us on. Sometimes, often He calls us with a whisper. Blessings. I totally agree--God does often whisper. And it makes me wonder how often I've missed hearing it because of my busyness. I don't want to continue missing His whispers! Sometimes I slept while the baby slept, other times I did not. And I could surely tell the difference. Thanks for linking up with Woman to Woman's Word Filled Wednesday! Your post reminded me of how I feel when I go on my annual silent retreat. It takes the first evening and even into the next day to shed the skin of busyness and quiet my spirit from the inner and outer noise. Always takes longer, more time, than I expect. good post! I know what you mean, Jean. It takes time to unwind from my usual schedule before I can truly feel relaxed. I need to do this more often! I wake up early and sleep early. I am able to paint and pray and talk to God. But rest. What is rest? Is it not a time when you get re-invigorated? Isn't connecting with God resting? Yes, like you said, "It’s a time to focus on what God says is important, instead of what the world says. Thank you for stopping by, Patsy, and for your comment! What a wonderful post! My family gave me a strong work ethic and I tend to abuse it. It's difficult for me to slow down, much less rest but, like Daddy/Mom always say, "If you don't learn the easy way, you'll learn the hard way." This past weekend, I had a bad fall and sprained my left hand rather badly but only banged up the right hand. Everything is difficult, typing especially painful but...but...the work needs to be done and there's only me to do it. Deciding what's urgent, only immediate and what can be put off -indefinitely- is a more difficult task than I thought it'd be. Some days I dance with God, other days I slog. I agree, prioritizing isn't always easy. Even harder, can be admitting that some things will have to go undone...and to be okay with that. And I mean to let it go and not worry about it. That's sometimes easier said than done for me. Thanks for your comment! God bless! I just love this post!!! Perfect parallel with the nap time rest... which every mother blows! There is a SEASON FOR EVERYTHING- and we can't hear God's leading if we are always busy. I love this message- wonderful insight and encouragement! Chris, thank you for your kind words today! They are a blessing to me. Coming in from Faith Filled Friday. My post for today mirrors this one in a lot of ways (except I'm not a parent) Thank you, I enjoyed reading.